In a first, experimental approach form and method of collaborating and interacting between the disciplines architecture and geography are tested in a two-week workshop. In the first part of the workshop (GIS Week) students learn the basics of geospatial processing to produce new forms of knowledge in support of ideas about urban planning and design. As the amount of collected information increases rapidly the availability of precise data enables new possibilities in researching and planning urban environments and landscapes. Geographic information systems (GIS) integrate, store, edit, analyze, share, and display geographic information for informing decision making. GIS gives data meaning through place and allows to observe how cities function. GIS exposes complex processes and dynamics (social, political, economical) taking place in the city. If built physical form is the hardware, GIS and geospatial data reveal the software that operate it. This first part of the studio provides students with the graphic and technical skills needed to reflect, design and communicate urban processes with geospatial data. 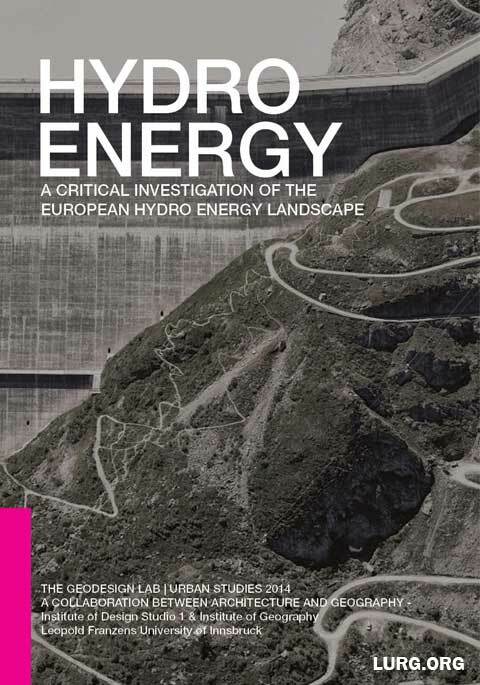 The second part of the workshop (Hydro Energy Landscapes) is a spatial investigation of the contemporary hydro energy network in Europe. Hydro power infrastructures are a common feature within the modern alpine landscape. Although often far away from urban regions these infrastructures are crucial components of the European urban network and serve the energetic needs of the modern city. By practically applying geospatial information software students reveal diverse components of the hydro energy network and explore its spatial appearance and relation to urbanism. They investigate spatial, cultural, social and economic aspects of the environment these infrastructures are operating in and discuss the role these infrastructures play in a local, regional and global scale. Issues ranging from production, distribution, organization and consumption of energy are discussed. The outcome of the workshop, the present brochure, gives the reader an overview of the contemporary condition of the alpine hydro power network. It identifies specific network components by investigating diverse landscapes elements, infrastructures, distribution systems, organizational structures and the economic aspects. It should form a basis framework to ask further questions related to the contemporary role of hydro energy and the modern urban landscape and to develop future ecological design proposals. Platforms: Established by LURG the Geodsign Lab is a collaboration between the Institute of Design Studio1 Prof. Stefano de Martino and the Institute of Geography at the Leopold-Franzens University of Innsbruck.